Some of the very best parts of summer are happening right in our very kitchen. Besides the beach and lazy days with friends, it’s the season with the most abundance of fresh food. It truly is much easier to follow a healthier diet in the summer months, simply because markets are bursting with local produce. 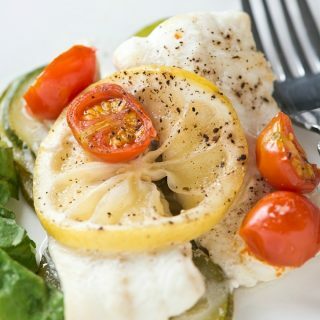 I’ve been focused on eating a low-carb keto diet so these Easy Dover Sole Fish Packets are at the top of the list. If you’ve never tried it, cooking in parchment packets makes for a pretty quick clean up and ensures a moist and flavourful meal. All of the ingredients are wrapped up in a simple parchment envelope and placed on a tray in the oven to cook. Fish works perfectly for this technique and takes very little time. Dover sole is a mild fish that is slightly sweet and has a fairly delicate texture. Even the most pickiest of eaters usually enjoy this variety. I love the simplicity of it in the summer, simply resting on top of a layer of fresh from the garden zucchini and cherry tomatoes. Honestly, with a slice of lemon and those fresh vegetables, it’s a dinner that is incredibly fresh and easy. With its high count of Omega-3’s, protein and nutrients, it’s a no brainer why we would add it to our weekly meal rotation. 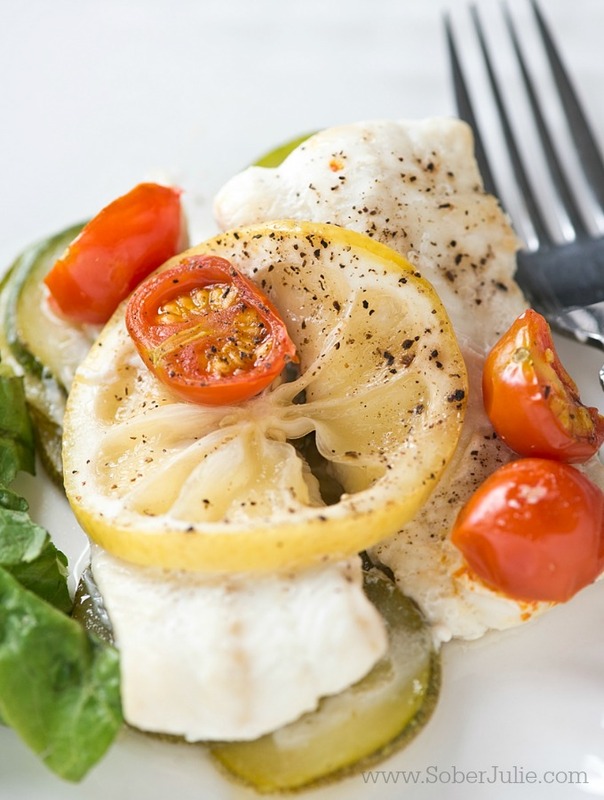 If you can’t get Dover sole at your local market fish counter, you can often find unbreaded sole fillets in the frozen section of most grocers. Prepare 4 large squares of parchment paper, by folding each piece in half (like a newspaper). On one side, close to the fold line but in the centre, place 1/4 of the sliced zucchini. 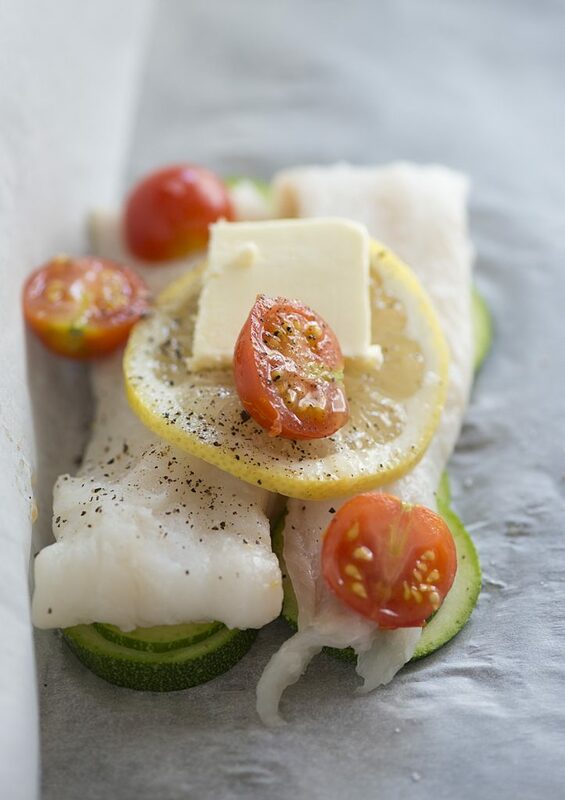 Place the dover sole fillets on top of the zucchini. If they are really small, I use two. If they are larger, use one. Top the fillet with a slice of lemon and a piece of butter. Scatter 5 cherry tomato halves on top. Season well with salt and pepper. Fold the other side of parchment over the fillet. Fold the edge over and continue folding the edges together to seal the packet. Repeat with the remaining fillets and ingredients. Place all of the packets on a baking sheet and bake for 20 minutes or until fish is cooked through. 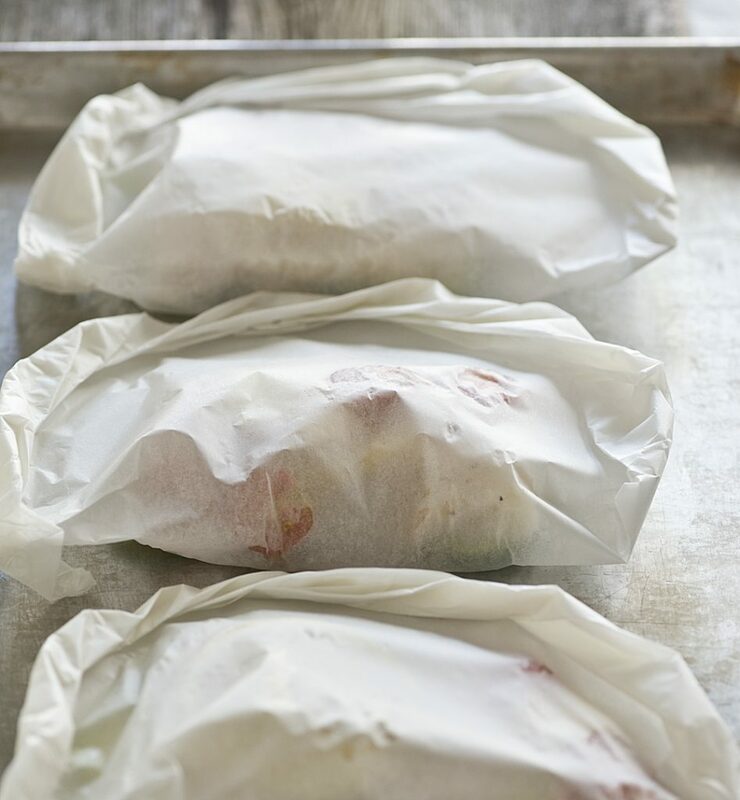 Prepare 4 large squares of parchment paper, by folding each piece in half (like a newspaper). On one side, close to the fold line but in the centre, place ¼ of the sliced zucchini.